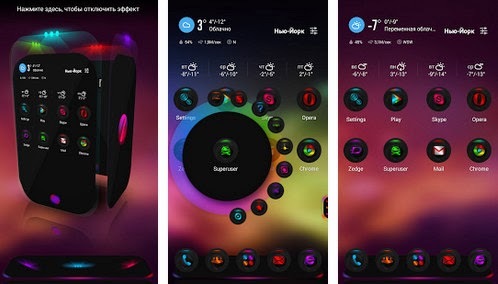 Theme Contrastum apk 2.9.1 will turn your boring device into something beautiful. Theme Contrastum is a beautiful theme for Next Launcher 3D! If you like this work , please leave your opinions and comment on Google Play. Version 2.9.1 is highly recommended update! 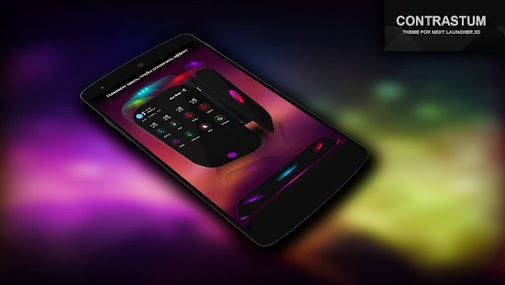 You need to download and install Next Launcher 3D Shell apk to run the theme. Press menu on your desktop - > Themes - > Phone -> Select theme Contrastum. Switch Next Launcher to 3D mode -> click desktop menu -> select Themes - > Phone -> Select theme Contrastum. 1.If you don't see the theme, then after installation you must first apply the standard theme of the Next Launcher. 3. If you do not appear circular substrate below the icons in the 3D mode, you need to clean NextLauncher_Data folder in the phone memory or on a flash card, as well as reboot your device.